Technology Timeout: What I Got (at the TPT sale)! 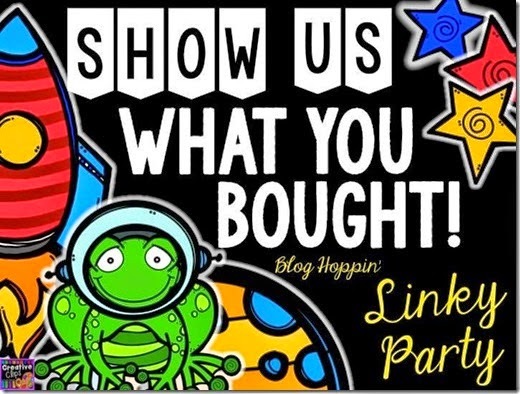 I'm linking up with Bloghopin' for their "Show Us What You Bought" Linky. 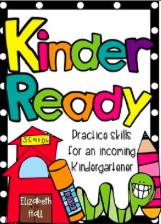 The first thing I bought was this Kindergarden Ready Pack. I was looking for some new fonts and fell in love with Font Fun! by Cara Caroll. 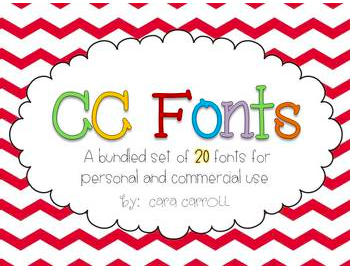 I love all of the fun fonts and can't wait to use them on some products (and some labels around my house!). 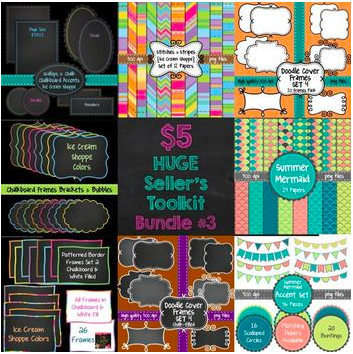 Seller's Toolkit #3 has a great selection of papers, and frames (and I love the chalkboard theme!) 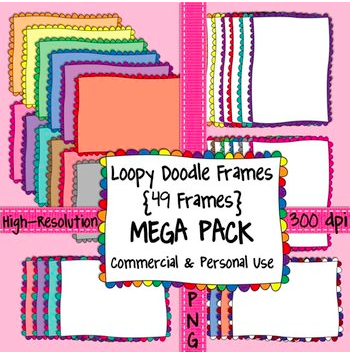 I bought Bundle #2 during the last sale and have used it tons! 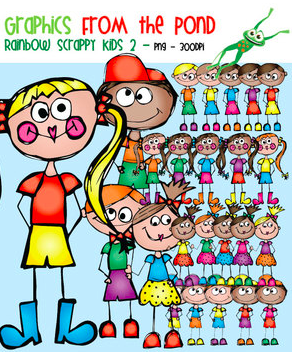 Last, but not least, I bought some Rainbow Scrappy Kids and Scrappy iPad Kids from Graphics from the Pond. 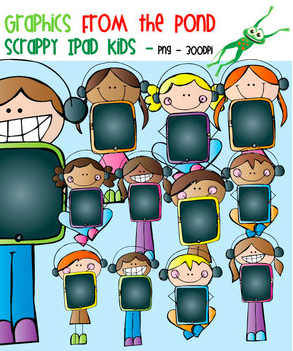 I bought the Summer Scrappy Kids during the last sale and loved it! By the way, I broke even at 11:00p.m. :) I always try to make more money than I spend at these quarterly sales. I usually don't make much, but I do think it is harder to be successful at the middle school level than at the elementary/clipart level. I can wait to see what everyone else bought!